Chop lettuce into 1/8 wide strips. Toss together all the ingredients into a large bowl. For dressing, whisk together ingredients in a small bowl. 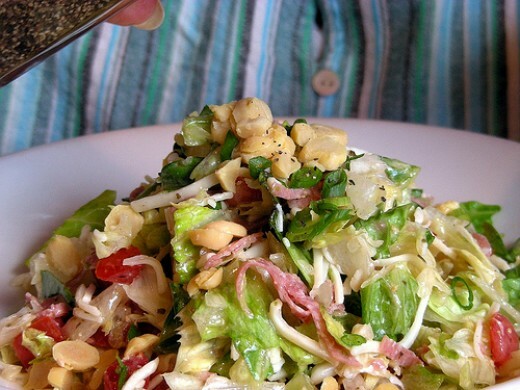 Just before serving, toss dressing with salad and serve on small plates.